Log In and you'll be automatically retured to this page! Only members can use this feature! Click the button to learn more about memberships. 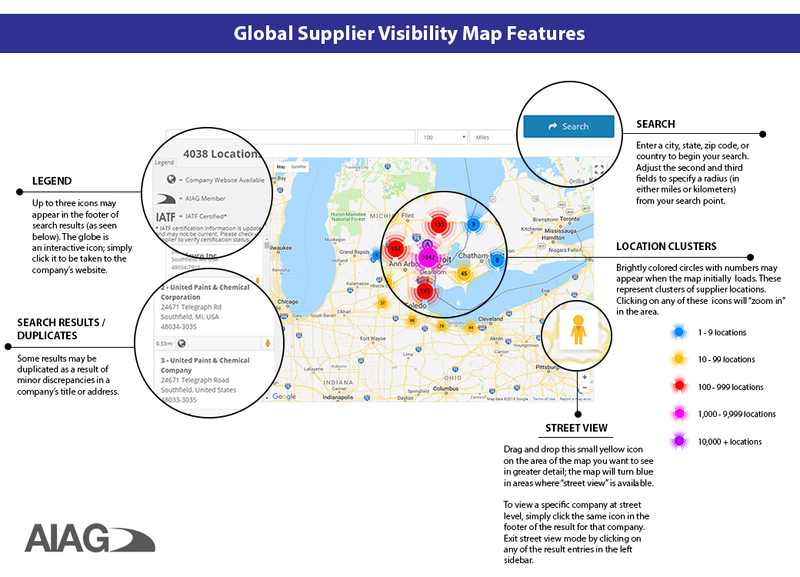 Welcome to the AIAG Supply Safe® - Global Supplier Visibility Map! This member benefit helps you manage risk in your supply chain by letting you easily search the location of suppliers in the event of a natural disaster or geopolitical unrest. Find information on suppliers including distance from search point, AIAG member status, IATF certification status (if available) and more. Enter your search criteria in the box below to begin. Need more direction? Click here to view map features and helpful tips.